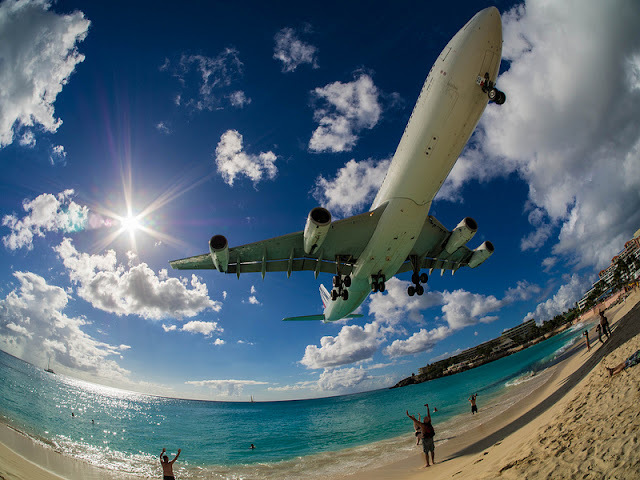 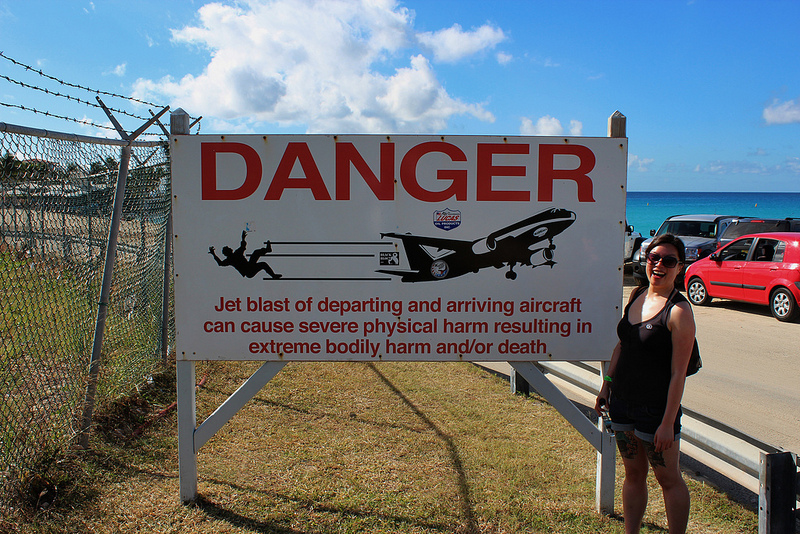 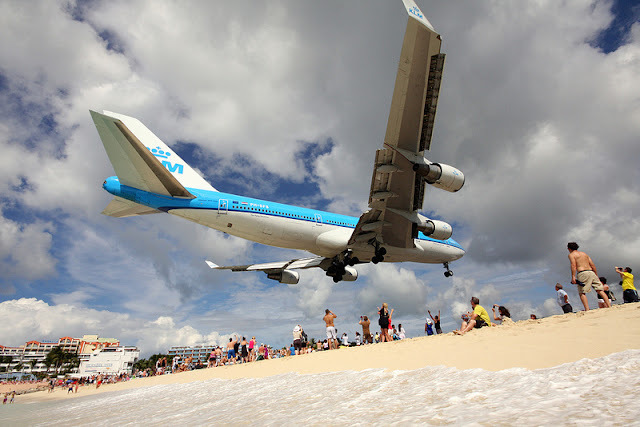 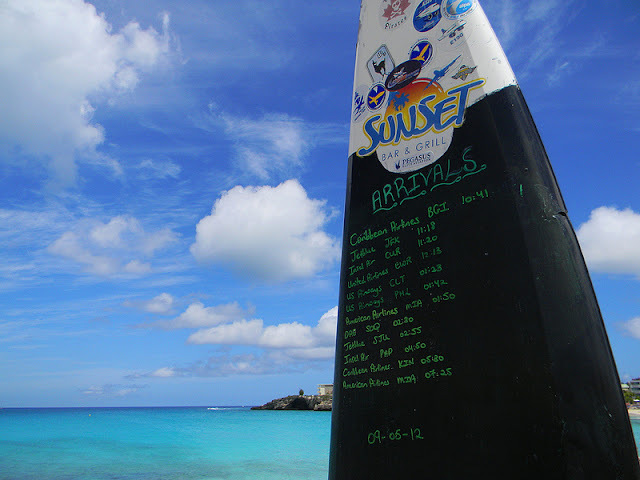 Located on the Dutch side of the Caribbean island of Saint Martin is the famous Maho Beach. 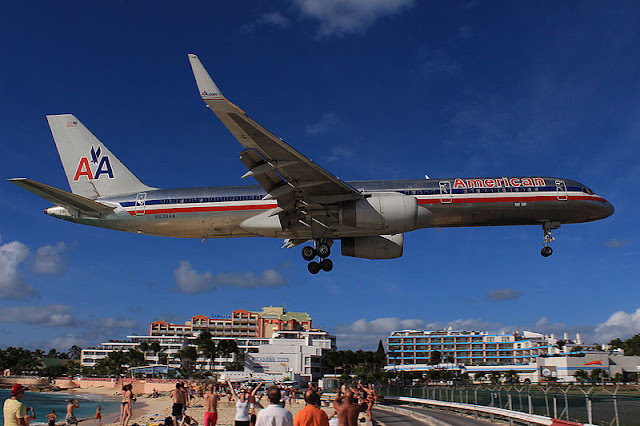 While it has the characteristic white sand and turquoise water of a Caribbean paradise that is not what makes Maho Beach such a popular tourist destination. 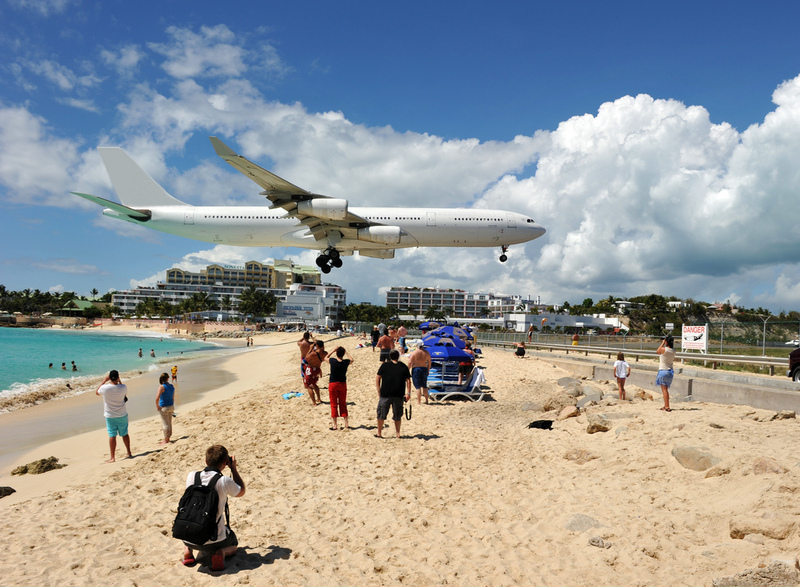 Rather, it has much to do with the Princess Juliana International Airport directly adjacent to Maho. Arriving aircraft must touch down as close as possible to the beginning of Runway 10 due to the short runway length of 2,180 meters (7,150 ft), resulting in aircraft on their final approach flying over the beach at minimal altitude. Watching airliners pass over the beach is such a popular activity that daily arrivals and departures airline timetables are displayed on a board in most bars and restaurants on the beach, and one bar even has a speaker on its outside deck that broadcasts the radio transmissions between pilots and the airport’s control tower.